A private pool party during Coachella helped McDonald's drive buzz around its new Bacon Clubhouse Sandwich. 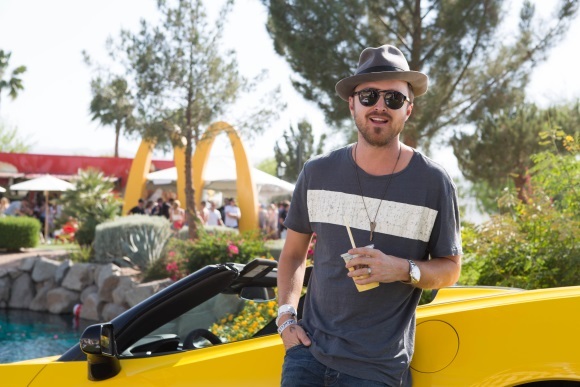 A private pool party during this year’s Coachella Valley Music Festival that included a 57-foot mobile restaurant and A-list celebrities helped McDonald’s drive buzz around its new Bacon Clubhouse Sandwich. 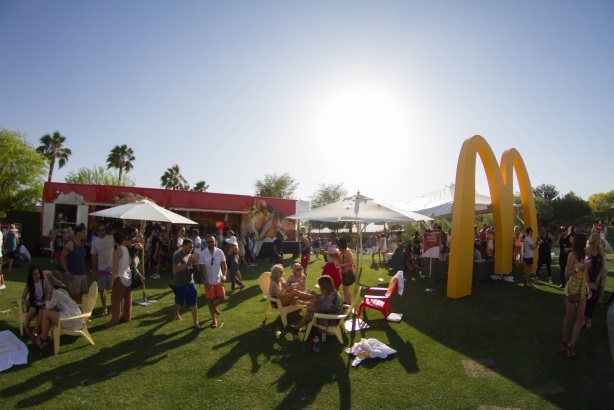 "We built and used our mobile restaurant for our first foray into Coachella last year," explains Tyler Litchenberger, communications manager of external relations at McDonald's USA. "Coachella is an ideal place for us because music is very relevant to our customers. When we were launching the McDonald's Bacon Clubhouse Sandwich, focus groups revealed that Millennials love the sandwich, so Coachella was a natural fit." The Narrative Group, one of McDonald’s agencies of record, helped devise and execute the campaign. McDonald’s used Snapchat for the first time to tease the launch. The pool party was hosted on April 12 in partnership with Hollywood nightclub Bootsy Bellows. "Partnering with Bootsy Bellows, a hotspot for influencers and Millennials, gave the party a big boost of cool factor," explains agency principal Stacey Heuser. Celebrity attendees were encouraged to share their experience at the event with their social media audiences. Media and blogger outreach after the event drove broader awareness. "We wanted to drive conversation via influencer engagement and media and build advocacy among new and existing customers," Litchenberger says. The sandwich, which launched nationwide on March 10, was announced February 25 in a 35-second photo and video Snapchat "story" featuring NBA player LeBron James, who is in the product commercials. The event was held at a private estate in Rancho Mirage, California. Select influencers, celebrities, and top-tier lifestyle and entertainment journalists were invited via email. Golden arches were set up on the lawn, and the mobile restaurant served the Clubhouse sandwiches and other food and drink items. Three bands performed live. The event also included a zero shock jump and opportunity to drive a GM Chevy Stingray. Litchenberger says Chevy partnered on the event to reach Millennials. Celebrity attendees included Leonardo DiCaprio, Aaron Paul [below], Balthazar Getty, Dianna Agron, and Kellan Lutz. The team worked closely with Golin (also an AOR for McDonald’s) to promote the campaign across social media channels. "We orchestrated our social media at Coachella in 2013, and we learned that we wanted to leave it a bit more open this year," Litchenberger notes. "We wanted our influencers to spread the word organically. We didn’t set perimeters on what they could post." Lifestyle and entertainment journalists and fashion, lifestyle, music, and food bloggers were pitched after the event. Litchenberger says the product is selling as expected and the company is very pleased with engagement, attendance, earned placements, and positive word of mouth generated by the campaign. Nearly 1,300 people attended the party – double Litchenberger’s expectation and up from between 600 and 700 at McDonald’s 2013 Coachella event. More than 17,000 social media mentions drove 38.5 million impressions (99% positive sentiment). McDonald’s picked up 6,000 Snapchat followers in the first week. It had nearly 15,000 Snapchat followers as of July 2. One hundred thirty-five stories ran in outlets such as Access Hollywood, E! News, Entertainment Tonight, New York Daily News, AdAge, and Los Angeles Times. The team is focused on promotions tied to McDonald’s World Cup partnership through July 7. Another promotional push for the Bacon Clubhouse Sandwich will kick off immediately after.